We have also undertaken the project of decorating the interiors of Chaitanya Vizag. The place has been designed on core ideas of our experienced artists, with useful ideas from our client. The accessories have been used in accordance with the requirements of the place. 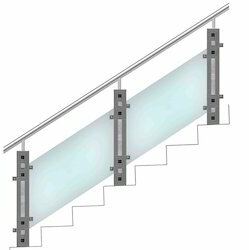 We have created metal Cast Banisters for staircases. 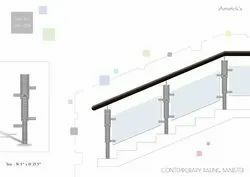 A superior collection of creative designs to suit your tastes is available; we also produce custom made handrails for individual needs. We bring for you White Metal Banisters, made using high quality white metal. These give a rich look to the embellishments, making them look beautiful and royal. These suit all kinds of places, modern as well as traditional. We offer these in various shapes and dimensions as required by the clients. 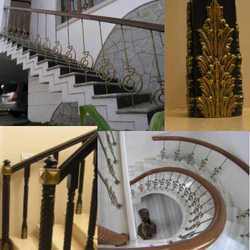 We provide beautiful and elegant handrails for staircase. 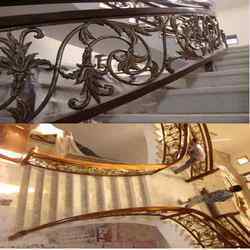 We undertake decorating the staircase with many types of handrails made from diverse materials like wrought iron, wood, various kinds of metals and alloys. With our extraordinary craftsmanship, we have been successful in creating beautiful handrails for many institutions, organizations as well as homes.